Today North Carolina crossover instigators CORROSION OF CONFORMITY release their legendary Eye For An Eye full-length to North American fans via Candlelight Records. Originally issued in 1984, the special reissue has been remastered and includes the Six Songs With Mike Singing EP, both of which have been long out of print. A deluxe digibook edition of the album, limited to 1000 for North America, will be available at limited retailers and via Candlelight’s official webstore. 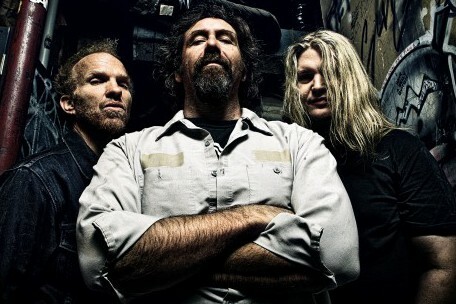 Coinciding with the release, CORROSION OF CONFORMITY today kick off a string of dates in Pittsburgh, Pennsylvania at the Altar Bar. Presented by Scion A/V, the tour includes support from a host of esteemed ear-bleeders including Zoroaster, ASG, Royal Thunder, YOB, and Saviours. Additionally, the band will play a string of special shows with High On Fire, Goatwhore and LoPan on select dates as well as a special Power Of The Riff presents event featuring COC, High on Fire, Sunn O))), Black Breath, Dead In The Dirt, Loincloth, Void Of Voices. See full itinerary below.